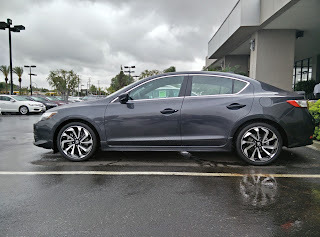 When Acura announced it would be refreshing the ILX last year, I was actually excited, but skeptical at the same time. 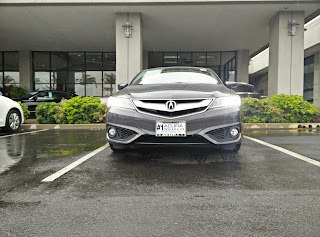 As was mentioned in our reviews of the ILX, it is a car that I want to like, but find it difficult to like. The 2.0 liter inline-four equipped model was extremely underpowered for its own good, and the 2.4 liter equipped "performance" version was basically just a tarted up Civic Si. Looking to further differentiate itself from its parent company's vehicles, Acura made some major changes to the mid-cycle refreshed ILX. What I wanted to know was whether or not these changes would be enough for it to actually compete in the growing entry-level compact luxury car segment. Civic, after all), the visual changes to the car are quite significant. Look at the front of the car, and it is practically unrecognizable from the previous one. Acura's Jewel Eye (R) headlamps adorn the car, along with a revised version of the "power plenum" grill. Larger air dams on the lower portion of the front bumper give the ILX a much more aggressive look than before. 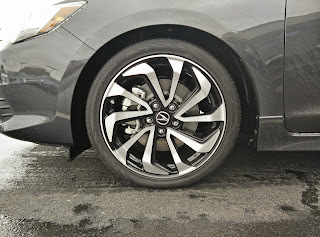 From the side, there really is not much of a noticeable change, however, the 18-inch A-Spec wheels look way better than the 17-inch wheels that came as standard on the previous car. They also make Acura's wheel gap issue much less apparent. From the rear, the new ILX looks much more aggressive, just like the front. The new rear bumper adds two large vents that were previously missing from the outgoing ILX. What are the vents for? Nothing really. What should have gone there were some nice looking exhaust tips, but complaining about that seems like beating a dead horse at this point. 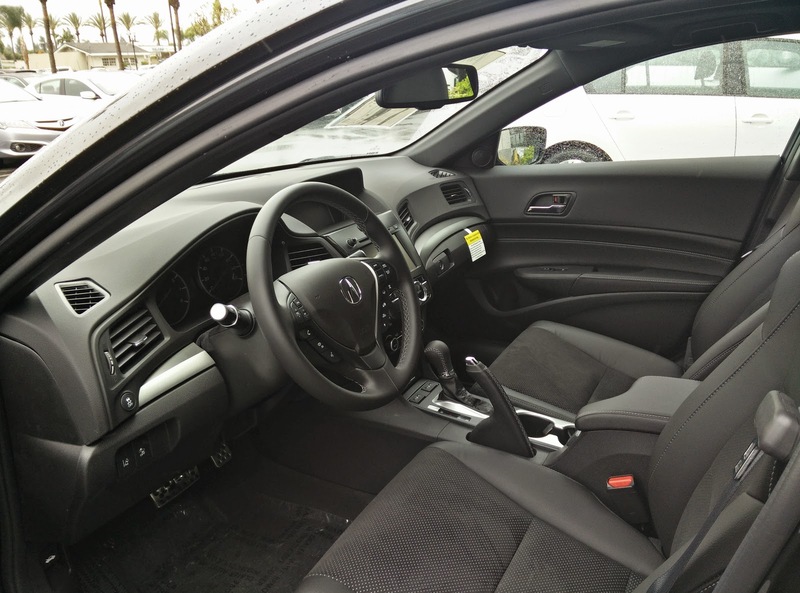 From a material standpoint, the interior of the ILX has not exactly changed much. Dash and consoles are still adorned in that shiny, kind of cheap looking plastic that the previous car had, and the "aluminum" looking trim is still just silver colored plastic. There are two big, noticeable changes though. In the A-Spec equipped cars, you get suede inserts on the seats like with the now gone TSX Special Edition (sans the red stitching). Personally, I like the suede inserts. They grip you much better than traditional leather seating surfaces, and give the car a much more sporty feel. The other big change is the addition of Acura's dual screen infotainment setup. If you include the recently refreshed RDX, every single vehicle in Acura's lineup now has this setup (along with the Jewel Eye (R) headlamps). As the included software is a newer version in the ILX, it includes such nifty features like being able to speak out an entire address when doing an address search. Besides the nicer seats and the new infotainment setup, the overall feel of the interior has not changed a whole lot. The biggest change to the ILX is in its drivetrain. Acura has ditched the woefully underpowered 2.0 liter inline-four and five-speed automatic for the TLX's direct injected 2.4 liter inline-four and eight-speed DCT. The engine has been very slightly de-tuned (201 horsepower instead of the 206 found in the TLX), but since the ILX is much lighter than the TLX, you would never know. Long story short, this is the engine and transmission combination that Acura should have had in the ILX all along. Power is plentiful, mid-range punch is good, and the eight-speed DCT shifts just as smoothly as it does in the TLX. Oddly though, the engine sounds a bit raspy in the ILX. 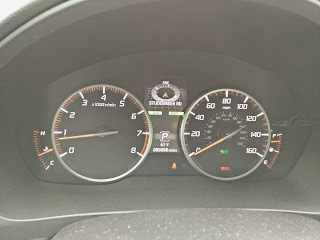 Both East Brother and I agree that the engine sound tuning done in the TLX sounds much better than it does in the ILX. But the sound tuning is not what bothered me about this new drivetrain. 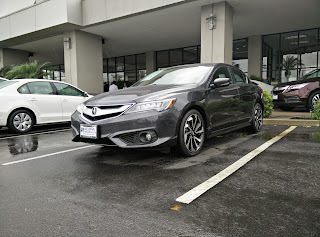 What bothered me was the Acura decided to completely forgo the slick, six-speed manual in the new ILX. I get that the previous ILX manual, which only came attached to the Civic Si's 2.4 liter inline-four, did not sell very well, but this new engine just begs to be paired with one of Honda's exquisite manual transmissions. Handling has not changed all too much from the previous 2.4 liter equipped "performance" version of the ILX. It does seem to feel more like the Civic Si. In fact, I feel like the entire car from a handling, steering, and braking standpoint feels almost exactly like the Civic Si. There seems to be less body roll than the previous ILX when cornering hard, the brakes actually feel decent, and the steering feels just a bit more communicative. Personally, I like the setup of the car now. With the pre-refreshed ILX, it felt like Acura was trying too hard to differentiate the ILX from the Civic by changing its suspension tuning. What resulted was a softer setup that made me feel a bit nervous under hard cornering conditions. With the refreshed ILX, there was some mild understeer (as this car still lacks a limited slip differential like the Civic Si), but it inspires more confidence behind the wheel. luxury car. There were simply far too many compromises with it, and unless you knew how to drive a manual, you were stuck with the anemic feeling 2.0 liter, 150 horsepower engine. 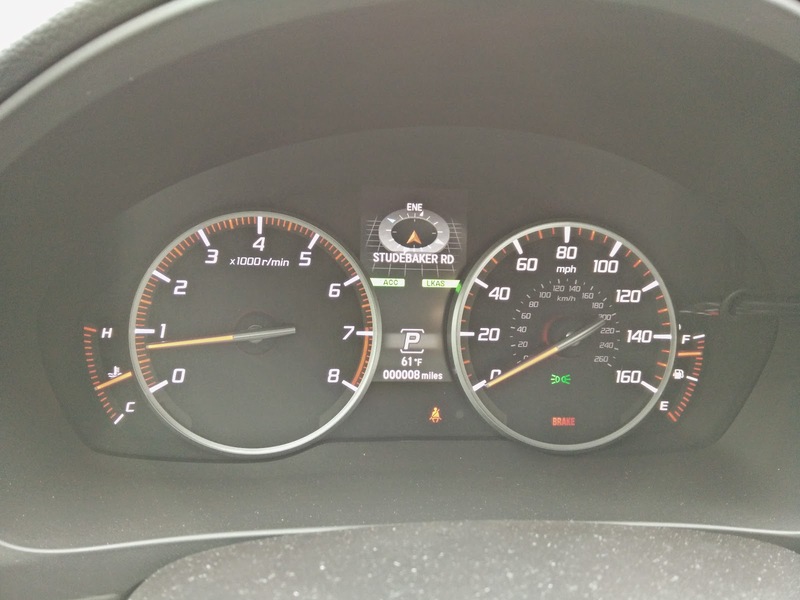 With this refresh though, Acura addressed many of the ILX's shortcomings. 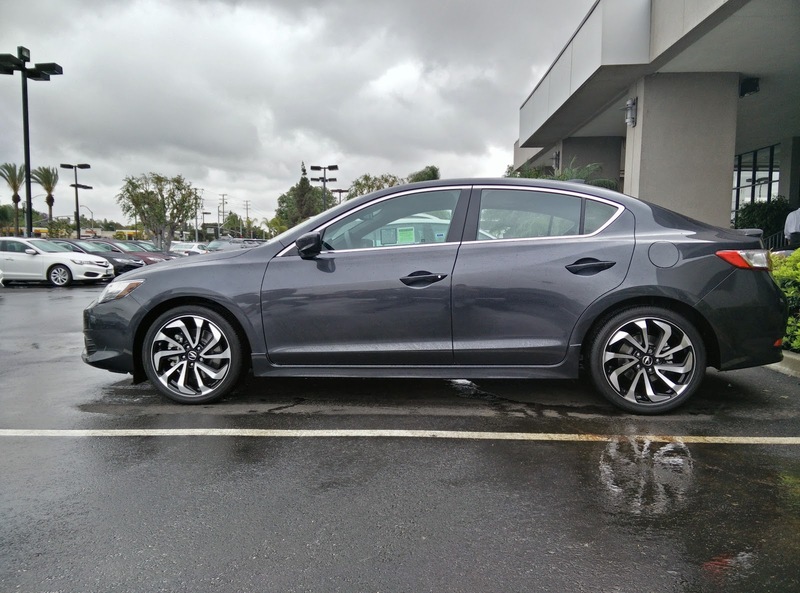 Granted, there are still some compromises that had to be made to hit a price point, but considering its performance and equipment, I believe that the ILX is now truly competitive in the entry-level compact luxury sedan class. *Special thanks to Cerritos Acura for allowing us to spend some time with the ILX.